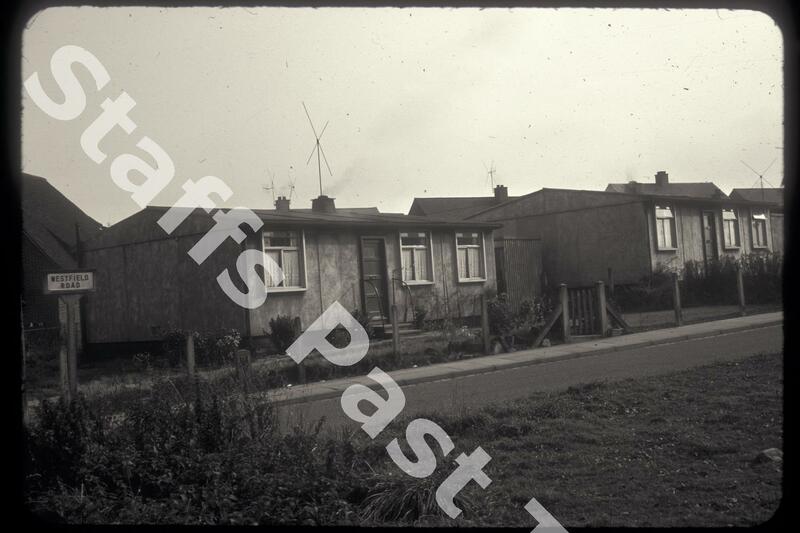 Description:These council built prefabricated bungalows were built after the Second World War and lasted into the 1970s. The panels making up the walls and roof are clearly seen. Apart from Westfield Road, they were built along neighbouring Wooliscroft Road. 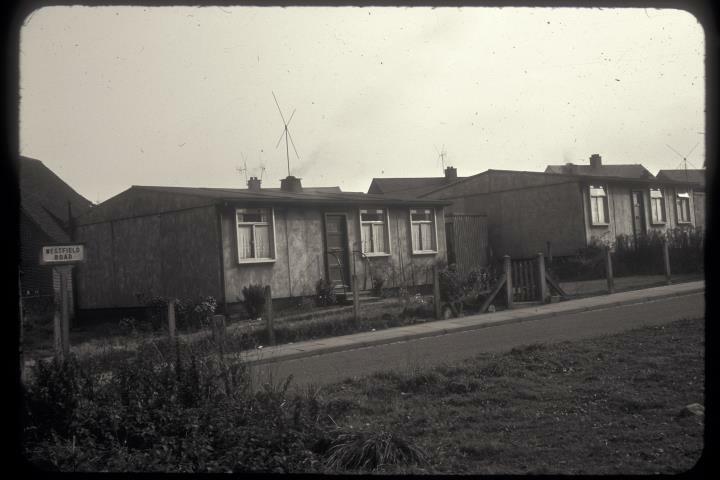 They have been replaced by conventional build bungalows. A fine crop of 1950s and 60s TV aerials.